What your Mother never told you about Jason King’s tie | Letters from an unknown author! Like many people I’ve got reminders and bookmarks all over my digital life both on and off the internet. I got hooked on e-bay some years ago, had a big buying spree then gradually settled down and instead of buying anything and everything began to for look for things I’m interested in. I get e-mail alerts about many things; books, motor sport memorabilia, and so on and a while ago I got an alert about a DVD box set I’d fancied for a long while. It was Department ‘S’, the TV series that introduced Jason King (remember him?) to the world. Department S was made in 1969 and was produced by ITC, a company founded by TV mogul Lew Grade and the show was the brainchild of Monty Berman and Dennis Spooner who together made a string of action and adventure series in the sixties and seventies like The Saint, Randall and Hopkirk, The Baron, The Champions and a spin-off from Department S, Jason King. All these series were shot like feature films on 35mm film and that is the reason why they look shiny and new today, available on DVD box sets. Jason King was played by Peter Wyngarde and Wyngarde used all his own clothes in his portrayal of the character. In the late sixties and early seventies ties were becoming bigger, trousers and jacket lapels were flaring and Peter Wyngarde brought this all to the TV screen with his characterisation. I was a school kid in 1969 and we kids all loved Jason King and his flamboyant outfits and we went out of our way to get a giant tie knot, just like the one Jason had in ‘Department S.’ Most of the kids got the big knot by tying their ties way down at the fat end of the tie making their ties short but at least with a big knot. I got some help with my tie from an unexpected source: my Mum! “Well, all you need is another tie to go inside the first one and make it bigger.” Sounds good I thought but how do you get one tie inside another? My Mum showed me how with a big safety-pin! What you had to do was get your second tie, the one that needs to go inside the other, pin the safety-pin to it and then you can thread it through the other one, manipulating it along with the safety-pin which you can feel through the material. I dug out an old tie and threaded it through my school tie, took out the safety-pin and then tied my tie in the usual way. Result; one huge knot that Jason King himself would be pleased with. The next day I went into school wearing my new fashionable tie and half the school –or so it seemed to me- were stunned by my trendy new school tie. Where did I get it from? How did I get such a knot? Did I tie it in a special way? Well, my fifteen minutes of fame came, went, and vanished as other people worked out how to make their own special ‘super knots.’ Jason King went on to star in his own spin-off TV series then he too vanished into TV’s Golden past. Fashion moved on and in the eighties ties went the other way; narrow thin ties were the norm. Trousers lost their flares, jacket lapels slimmed down once again. ‘Penny round’ shirts were forgotten but then, that’s the great thing about DVDs: pop your disc into the machine and you can experience it all again! 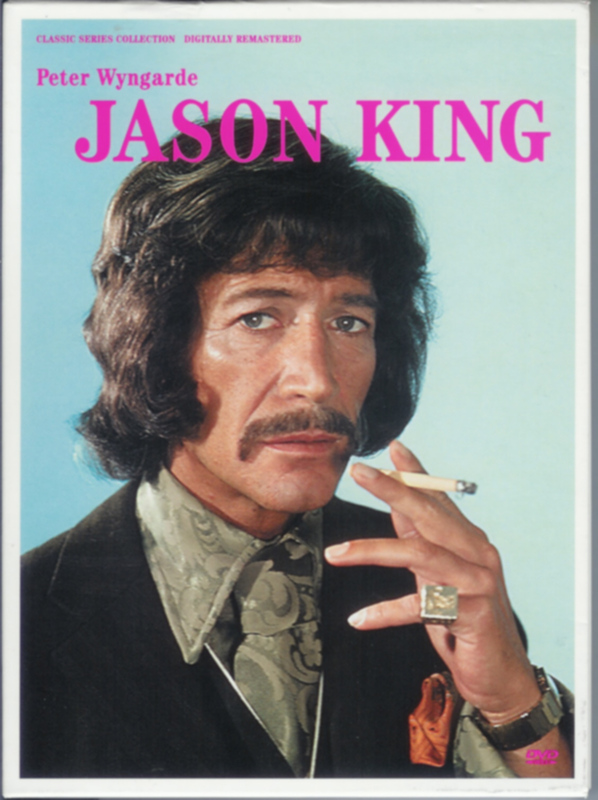 If you liked this nostalgic look at Jason King you’re sure to like my book. Look out for Floating in Space at amazon! This entry was posted in The story of my life! and tagged anecdote, blogger, Department S, DVD, film, hero, heroes, humor, humour, life, new writers, Television, tv series. Bookmark the permalink. Pingback: Pinterest, the Lion, and a Visit to the Cinema | Letters from an unknown author!